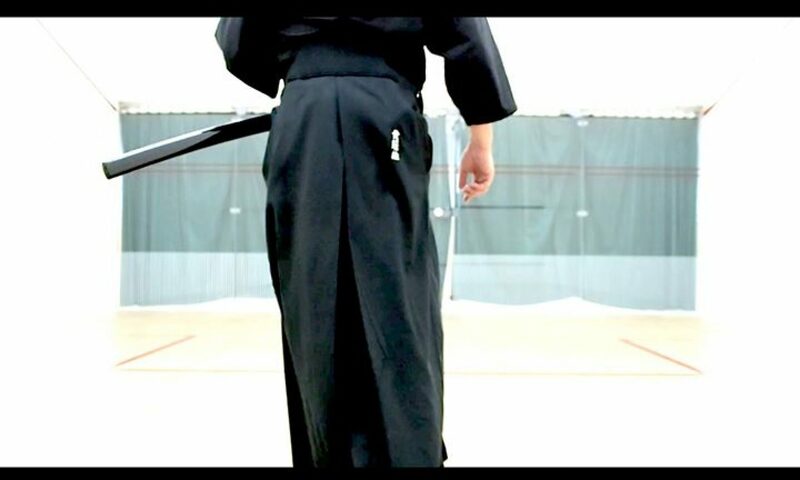 To understand the history of Iaido and Musojikiden Eishi-Ryu, one needs to understand a fair portion of Japanese history as well as that of Japanese sword evolutionary history. It is well accepted that the founder of Iaido was Hayashizaki Jinsuke Minamoto no Shigenobu (林崎甚助源重信) in the late Muromachi Era (室町時代). This was a very tumultuous period of Japanese history, plagues with constant wars and skirmishes. Fighting skills were developed both on and off the battlefields. Up to this period, there wasn’t a unified concept or school of sword fighting techniques. Each region had their own training taught by head swordsmen of that region, and thus different styles emerged. Much of these were never recorded due to the constant chaos of that period. Most of these were only passed on orally, partly because of fear of other clans learning the secrets and devise methods to defeat the other. One may learn different styles of fighting technique and evolved into his own. Hayashizaki was no exception. He studied under various teachers, most notably the legendary sword masters, Tsukahara Bokuden (塚原卜伝) and Higashine Gyoubu Daiyuu (東根刑部太夫). Hayashizaki’s path in Bujutsu (武術) began with the desire to avenge his father’s death. Born Asano Tamijimaru (浅野民治丸) in 1542 (天文11年), son of Asano Kazuma (浅野数馬), who was murdered by one named Sakaichi Unsai (坂一雲斎) while Hayashizaki was 5 years old. At age 13, considered an adult, he vowed to avenge his father’s death. He trained incessantly for his entire young adulthood. Legend said that he prayed to Kumano-Meishin (熊野名神に百日参籠*) for the success of his revenge. One night Kumano-Meishin appeared in his dream and showed him the ultimate techniques (神妙秘術の純粋抜刀) to defeat his opponent. He spent three years to further understand and master this set “god given” techniques. Finally, at age of 19, he confronted and defeated Sakaichi avenging his father’s death. He earned the status of a legend with sword skills of mythical proportion very quickly since. He continued on to document his techniques (along with other ones he had learned through his training) in detail and began teaching what was known as Junsui Battou (純粋抜刀) under the name of Hayashizaki Jinsuke Minamoto no Shigenobu (林崎甚助源重信). He went around Japan to learn other martial arts techniques while spreading and teaching his own system of Kenjutsu, naming his style Shinmei Muso-Ryu (神明無双流). This gradually evolved into Iaido we know today. Hayashizaki returned to his home and dedicated his sword to the shrine where he had made his wish, and the shrine still stands today with a statue in there to commemorate him (http://www.iaijinja.jp). *百日参籠 Hyakunichi-Sanrou is to come before the particular god for 100 consecutive days to worship and pray for a particular wish, this is considered a highly dedicated act in ancient culture.